Database people are already gasping for air, because they know what’s coming. Instead of creating a separate table for attachment metadata, I created an attachments column in the notes table and just encoded the attachment metadata there. On iOS it uses Core Data’s built-in object archiving feature. On the server it’s stored as JSON. This is wrong, surely; it’s not how to do this. Except, in this case, it is. Incomplete object graphs are wrong; inefficient and slower syncing with more complex server-side code is also wrong. This is less wrong than the alternatives. In Chapter 1, I said that 1NF meant that every tuple in every relation contains just a single value (of the appropriate type, of course) in every attribute position—and it’s usual to add that those “single values” are supposed to be atomic. But this latter requirement raises the obvious question: what does it mean for data to be atomic? Well, on page 6 of the book mentioned earlier, Codd defines atomic data as data that “cannot be decomposed into smaller pieces by the DBMS (excluding certain special functions).” But even if we ignore that parenthetical exclusion, this definition is a trifle puzzling, and not very precise. For example, what about character strings? Are character strings atomic? Every product I know provides several operators on such strings—LIKE, SUBSTR (substring), “||” (concatenate), and so on—that clearly rely on the fact that character strings in general can be decomposed by the DBMS. So are those strings atomic? What do you think? But I could have used any number of different examples to make my point: I could have shown attributes (and therefore domains) that contained arrays; or bags; or lists; or photographs; or audio or video recordings; or X rays; or fingerprints; or XML documents; or any other kind of value, “atomic” or “nonatomic,” that you might care to think of. Attributes, and therefore domains, can contain anything (any values, that is). All of which goes a long way, incidentally, toward explaining why a true “object/relational” system would be nothing more nor less than a true relational system—which is to say, a system that supports the relational model, with all that such support entails. This is exactly why PostgreSQL offers array, XML, and JSON data types: because sometimes, they are exactly what you need to properly model your system. So you go, Brent, you’re doing it exactly right. As part of my effort to improve Sqitch, I plan to add support for specifying deployment targets via URIs. Inspired by Git remotes, targets will greatly simplify the specification of databases to update — especially when stored as named targets in the configuration file. So why not define a standard database URI format with all those parts, and use them where appropriate for each engine? It’s all right there, just like http URLs. In other words, a pretty typical http- or mailto-style URI format. We embed it in a db: URI in order to identify the URI as a database URI, and to have a single reasonable scheme to register. Informally, it’s simplest to think of a database URI as a single URI starting with the combination of the scheme and the engine, e.g., db:mysql. The Database URI scheme is db. Consequently, database URIs always start with db:. This is the URI scheme that defines a database URI. Next comes the database engine. This part is a string naming the type of database engine for the database. It must always be followed by a colon, :. There is no formal list of supported engines, though certain implementations may specify engine-specific semantics, such as a default port. The authority part is separated from the engine by a double slash, //, and terminated by the next slash or end of the URI. It consists of an optional user-information part, terminated by @ (e.g., username:password@); a required host address (e.g., domain name or IP address); and an optional port number, preceded by a colon, :. The path part specifies the database name or path. For URIs that contain an authority part, a path specifying a file name must be absolute. URIs without an authority may use absolute or relative paths. The optional query part, separated by a question mark, ?, contains key=value pairs separated by a semicolon, ;, or ampersand, &. These parameters may be used to configure a database connection with parameters not directly supported by the rest of the URI format. In discussing this proposal with various folks, I’ve become aware of a few challenges to standardization. In short, it makes sense to allow the user information without a host name. The second issue is the disallowing of relative file names in the path part following an authority part. The problem here is that most database engines don’t use paths for database names, so a leading slash makes no sense. For example, in db:pg:localhost/foo, the PostgreSQL database name is foo, not /foo. Yet in db:firebird:localhost/foo, the Firebird database name is a path, /foo. So each engine implementation must know whether or not the path part is a file name. But some databases may in fact allow a path to be specified for a local connection, and a name for a remote connection. Informix appears to support such variation. So how is one to know whether the path is a file path or a named database? The two variants cannot be distinguished. The path issue aside, I feel like this is a pretty simple proposal, and could have wide utility. I’ve already knocked out a Perl reference implementation, URI::db. Given the wide availability of URI parsers in various programming languages, I wouldn’t expect it to be difficult to port, either. The uri-db project is the canonical home for the proposal for now, so check there for updates. And your feedback would be appreciated! What other issues have I overlooked? What have I got wrong? Let me know! In December 2012, while Cloudera Impala was still in its beta phase, we provided a roadmap for planned functionality in the production release. In the same spirit of keeping Impala users, customers, and enthusiasts well informed, this post provides an updated roadmap for upcoming releases later this year and in early 2014. Fault tolerance for running queries (not currently). In the current release, Impala aborts the query if any host on which the query is executing fails. In the future, we will consider adding fault tolerance to Impala, so that a running query would complete even in the presence of host failures. Does CitusDB recover from failures? Yes. The CitusDB master node intelligently re-routes the work on any failed nodes to the remaining nodes in real-time. Since the underlying data are kept in fixed-size blocks in HDFS, a failed node’s work can evenly be distributed among the remaining nodes in the cluster. That sound exactly right. I’m excited about Citus, and if it adds solid support for more data formats, such as ORC and Parquet, it may well be the way to go. But Impala will be a nice alternative if it can get fault tolerance figured out. I’m disappointed it’s not on the road map. So in the example above we can reduce five statements to four. This isn’t a significant improvement in this case. But now the number of statements is no longer directly dependent on the number of rows requiring updates. Even if we wanted to update a thousand rows with different values, we could still do it with four statements. If you need to support multiple database architectures, sure, use something like DBIx::MultiRow to encapsulate things. But if, like most of us, you’re on one database for an app, I can’t recommend stongly enough how well it pays to get to know your database well. These are mainly Postgres ports of existing Oracle databases. As such, I’ve written independent migration scripts that use oracle_fdw to copy data from Oracle. It made no sense to commit hard-coded changes to the deploy script, even for static data, as it was all to be copied from the old production Oracle databases — often months after I wrote the migrations. These projects include extensive pgTAP unit tests that expect to run many times against an empty database with no side effects. Having different data in testing than in production increases the likelihood of unforeseen behavioral variations. Better to expect no data in tests, freeing them to focus on units of behavior without regard to preexisting data. Now that we have multiple Sqitch-deployed databases in production, the time has come to address these issues. I propose to resolve the one-time migration requirement with deploy hooks. The idea is similar to Git hooks: Before or after any sqitch deploy, one or more hook scripts can run. The impetus was to ensure some higher level of consistency after every deploy. For example, a post-deploy hook might grant privileges on all tables in a database. Another might run VACCUM; ANALZYE;. But we could also use it for one-time data migrations. An option to deploy will disable them, which would be useful for development and test databases. Once the migration has been run in production, we just delete the migration hook scripts from the project. Sqitch won’t record hook executions, so adding or removing them will be no problem. I like this approach, as Sqitch will automatically run migration scripts, but hooks will not change the interface of Sqitch itself. And it’s more generally useful. Hell, I might want deploy hook script that sends an email notification announcing a deployment (though that might require adding support for non-SQL scripts). There are all kinds of things for which hooks will prove useful. There might be side-effects to the deployment. For example, a foreign key constraint to the users table, to identify the users who added rows to the database. But in a new database, perhaps there are no users — and Sqitch doesn’t create them, the app does. Chicken, meet egg. The initial data set might derived from some external source, such as another database. Consequently, none of that data was defined in Sqitch deploy scripts. This situation complicates future updates of the data. We can add data via Sqitch in the future, but then we don’t have the canonical list of all rows that should exist in all such databases. However, I can think of no alternative that does not over-complicate Sqitch itself. I considered adding another change-related script type, named “update”, to complement the existing deploy, verify, and revert scripts. But oftentimes a data change would not be tied to a schema change, so the corresponding deploy script would be a no-op. Seems silly. I also considered adding a completely separate command specifically for deploying data changes. Yet these data migrations are exactly like schema changes: Sqitch must execute them in the proper order relative to other changes, record successful or failed deployment, and be able to revert them when required. The only difference is what’s defined in them: data modification rather than definition. Through several drafts of this post, I have come around to the idea that I should change nothing in Sqitch with regard to data deployments. A better solution than the above, I believe, is organizational. Let the best practice for data deploys be this: they should be contained in Sqitch changes, but such changes should contain only data modifications. No change script should both define a table and insert its initial rows. Keep the table and its data in separate changes — keep DML separate from DDL. For our list of countries, we might have a change named “countries”, which creates the countries table, and another, named “country_data”, which inserts the appropriate data into that table. Where necessary and appropriate, these changes may use conditional paths to bring the data up-to-date and in sync across deployments. Conditions must deal with side-effects, such as foreign key constraints. Where possible, such side effects ought be removed from deployment-managed data. For tracking the user or users who added data to a database, for example, one can use the tools of the source code repository (git log, git blame) to assign blame. Other side-effects may be more necessary, but to the extent possible, deployed data should be independent. Naturally, unit tests must expect static data to be present, and be updated when that data changes. We are, after all, talking about infrequently-updated data. Frequently-updated data should have separate interfaces provided by applications to change the data. Otherwise, how static is it, really? I was traveling last week, and knowing I would be offline a fair bit, not to mention seriously jet-lagged, I put my hacking efforts into getting MySQL support into Sqitch. I merged it in yesterday; check out the tutorial if you’re interested in it. I expect to release v0.980 with the MySQL support in a couple of weeks; testing and feedback would most appreciated. The microsecond precision support in DATETIME values, added in v5.6.4. This makes it much easier to keep things in the proper order (deployments usually take less than a second). The SIGNAL functionality, introduced in v5.5. This allows the schema to mock a check constraint in the Sqitch database, as well as make it much easier to write verify tests (as described in the tutorial and figured out on StackOverflow). But if you can afford to take advantage of a relatively modern MySQL, give it a shot! The next release also makes a backwards-incompatible change to the SQLite engine: the default Sqitch database is no longer $db_dir/$db_name-sqitch.$suffix, but $db_dir/sqitch.$suffix. In other words, if you were deploying to a db named /var/db/myapp.db, Sqitch previously kept its metadata in /var/db/myapp-sqitch.db, but now will keep it in /var/db/sqitch.db. This is to make it more like the other engines (MySQL defaults to a database named “sqitch”, and Postgres and Oracle default to a schema named “sqitch”). It’s also useful if you use the SQLite ATTACHDATABASE command to manage multiple database files in a single project. In that case, you will want to use the same metadata file for all the databases. Keep them all in the same directory with the same suffix and you get just that with the default sqitch database. If you’d like it to have a different name, use sqitch config core.sqlite.sqitch_db $name to configure it. This will be useful if you don’t want to use the same Sqitch database to manage multiple databases, or if you do, but they live in different directories. I haven’t released this change yet, and I am not a big-time SQLite user. So if this makes no sense, please comment on this issue. It’ll be a couple of weeks before I release v0.980, so there is time to reverse if if there’s consensus that it’s a bad idea. See the GitHub issue for a fuller description of this feature. I’m certain that this would be useful at work, as we have a limited number of databases that we deploy each Sqitch project to, and it’s more of a PITA for my co-workers to remember to use different values for the --db-host, --db-user, --db-name and friends options. The project itself would just store the named list of relevant deployment targets. And it alleviates the issue of specifying a different Sqitch database on SQLite or MySQL, as one can just create a named target that specifies it in the URI. Not sure when I will get to this feature, though. I think it would be great to have, and maybe iovation would want me to spend some time on it in the next couple of months. But it might also be a great place for someone else to get started adding functionality to Sqitch. Oh, and before I forget: it looks like Sqitch might soon get CUBRID support, too, thanks to Ștefan Suciu. Stay tuned! I found myself with a little unexpected time at work recently, and since we use Oracle (for a few more months), I decided to port Sqitch. Last night, I released v0.970 with full support for Oracle. I did the development against an 11.2 VirtualBox VM, though I think it should work on 10g, as well. There are a few other minor tweaks and fixed in this release; check the release notes for details. Want more? I will be giving a half-day tutorial, entitled “Agile Database Development,” on database development with Git, Sqitch, and pgTAP at on May 22 PGCon 2013 in Ottawa, Ontario. Come on up! This week I released Sqitch v0.961. There are a number of great new features v0.95x, including the beginning of two features I’ve had in mind since the beginning: VCS integration and support for multiple databases. Sqitch will look at the “big-fix” plan, figure out the last change in common with “widgets”, and revert to it. Then it checks out “big-fix” and deploys. That’s it. Yes, you could do this yourself, but do you really remember the last common change between the two branches? Do you want to take the time to look for it, then revert, check out the new branch, and deploy? This is exactly the sort of common developer task that Sqitch aims to take the pain out of, and I’m thrilled to provide it. You know what’s awesome, though? This feature never occurred to me. I didn’t come up with it, and didn’t implement it. No, it was dreamt up and submitted in a pull request by Ronan Dunklau. I have wanted VCS integration since the beginning, but had yet to get ‘round to it. Now Ronan has jumpstarted it. A million thanks! One downside: it’s currently Git-only. I plan to add infrastructure for supporting multiple VCSes, probably with Git and Subversion support to begin with. Watch for that in v0.970 in the next couple months. The other big change is the addition of SQLite support alongside the existing PostgreSQL support. Fortunately, I was able to re-use nearly all the code, so the SQLite adapter is just a couple hundred lines long. For the most part, Sqitch on SQLite works just like on PostgreSQL. The main difference is that Sqitch stores its metadata in a separate SQLite database file. This allows one to use a single metadata file to maintain multiple databases, which can be important if you use multiple databases as schemas pulled into a single connection via ATTACH DATABASE. Curious to try it out? Install Sqitch from CPAN or via the Homebrew Tap and then follow the new Sqitch SQLite tutorial. I personally will be using this a lot, Yep, scratching my own itch here. What itch do you have to scratch with Sqitch? In related news, I’ll be giving a tutorial at PGCon next month, entitled “Agile Database Development”. We’ll be developing a database for a web application using Git for source code management, Sqitch for database change management, and pgTAP for unit testing. 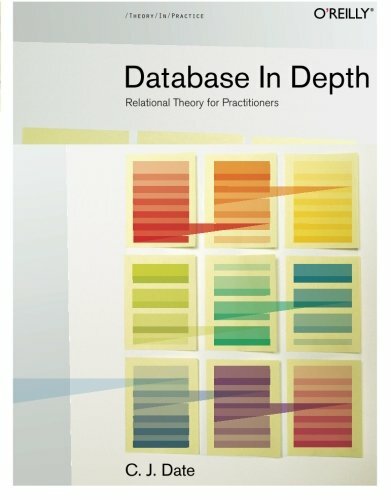 This is the stuff I do all day long at work, so you can also think of it as “Theory’s Pragmatic approach to Database Development.” See you there? I’m pleased to announce the release of Sqitch v0.940. The focus of this release? Sanity. I’ve been doing a lot of Sqitch-based database development at work. Overall it has worked quite well. Except for one thing: often the order in which changes would be arranged would change from one run to the next. Oy. The reason? The plan parser would perform a topological sort of all the changes between tags based on their dependencies. I’ve been careful, for the most part, to keep my changes in the proper order in our plan files, but the topological sort would often pick a different order. Still valid in terms of dependency ordering, but different from the plan file. Given the same inputs, the sort always produced the same order. However, whenever I added a new changes (and I do that all the time while developing), there would then be a new input, which could result in a completely different order. The downside is that I would add a change, run sqitch deploy, and it would die because it thought something needed to be deployed that had already been deployed, simply because it sorted it to come after an undeployed change. So annoying.. It also caused problems in for production deployments, because different machines with different Perls would sort the plans in different ways. So I re-wrote the sorting part of the the plan parser so that it no longer sorts. The list of changes is now always identical to the order in the plan file. It still checks dependencies, of course, only now it throws an exception if it finds an ordering problem, rather than re-ordering for you. I’ve made an effort to tell the user how to move things around in the plan file to fix ordering issues, so hopefully everything will be less mysterious. Of course, many will never use dependencies, in which case this change has effect. But it was important to me, as I like to specify dependencies as much as I can, for my own sanity. Speaking of ordering, as we have been starting to do production deployments, I realized that my previous notion to allow developers to reorder changes in the plan file without rebuilding databases was a mistake. It was too easy for someone to deploy to an existing database and miss changes because there was nothing to notice that changes had not been deployed. This was especially a problem before I addressed the ordering issue. Even with ordering fixed, I thought about how git push works, and realized that it was much more important to make sure things really were consistent than it was to make things slightly more convenient for developers. So I changed the way change IDs are generated. The text hashed for IDs now includes the ID of the parent change (if there is one), the change dependencies, and the change note. If any of these things change, the ID of the change will change. So they might change a lot during development, while one moves things around, changes dependencies, and tweaks the description. But the advantage is for production, where things have to be deployed exactly right, with no modifications, or else the deploy will fail. This is sort of like requiring all Git merges to be fast-forwarded, and philosophically in line with the Git practice of never changing commits after they’re pushed to a remote repository accessible to others. Curious what text is hashed for the IDs? Check out the new show command! As a database hacker, I still need things to be relatively convenient for iterative development. So I’ve also added the rebase command. It’s simple, really: It just does a revert and a deploy a single command. I’m doing this all day long, so I’m happy to save myself a few steps. It’s also nice that I can do sqitch rebase @HEAD^ to revert and re-apply the latest change over and over again without fear that it will fail because of an ordering problem. But I already mentioned that, didn’t I? Well, mostly. Another ordering issue I addressed was for the revert --to option. It used to be that it would find the change to revert to in the plan, and revert based on the plan order. (And did I mention that said order might have changed since the last deploy?) v0.940 now searches the database for the revert target. Not only that, the full list of changes to deploy to revert to the target is also returned from the database. In fact, the revert no longer consults the plan file at all. This is great if you’ve re-ordered things, because the revert will always be the reverse order of the previous deploy. Even if IDs have changed, revert will find the changes to revert by name. It will only fail if you’ve removed the revert script for a change. So simple, conceptually: revert reverts in the proper order based on what was deployed before. deploy deploys based on the order in the plan. As a result of the improved intelligence of revert, I have also deprecated the @FIRST and @LAST symbolic tags. These tags forced a search of the database, but were mainly used for revert. Now that revert always searches the database, there’s nothing to force. They’re still around for backward compatibility, but no longer documented. Use @ROOT and @HEAD, instead. So lots of big changes, including some compatibility changes. But I’ve tried hard to make them as transparent as possible (old IDs will automatically be updated by deploy). So take it for a spin! Checking all dependencies before deploying or reverting any changes. Adding the verify command to run acceptance tests. Adding a --no-run option to deploy so that existing databases can be upgraded to Sqitch. Adding a check command to sanity-check a plan, scripts, and a database. This information is now recorded for every change added to a project plan, as well as every commit to the database (deploys, reverts, and failures). If you don’t tell Sqitch who you are, it will try to guess, but you might not like who it finds. appuser 2012-08-01T15:04:13Z Marge N. O’Vera <marge@example.com> # App database user with limited permissions. users [:appuser] 2012-08-01T15:36:00Z Marge N. O’Vera <marge@example.com> # Creates table to track our users. insert_user [:users :appuser] 2012-08-01T15:41:17Z Marge N. O’Vera <marge@example.com> # Creates a function to insert a user. change_pass [:users :appuser] 2012-08-01T15:41:46Z Marge N. O’Vera <marge@example.com> # Creates a function to change a user password. @v1.0.0-dev1 2012-08-01T15:48:04Z Marge N. O’Vera <marge@example.com> # Tag v1.0.0-dev1. But each change and tag is still on a single line, so it’s not too bad if you absolutely must edit it. Still, I expect to discourage that in favor of adding more commands for manipulating it (adding and removing dependencies, changing the note, etc.). Change change_pass to use pgcrypto. Change insert_user to use pgcrypto. Note the use of color to identify the event type: green for deploys and blue for reverts. Failures appear in red. Not sure I like it yet, but I think it might be useful. We’ll see. The project name is used (along with the current timestamp and your name and email address) when hashing changes and tags to generate IDs. This ensures that the IDs are likely to be globally unique. In the future, you will be able to declare cross-project dependencies. Creating an RPM targeting work’s servers. This will probably not be public, though I might add the spec file to the public project. Implement the SQLite interface to iron out any kinks in the engine API. Switch to Dist::Zilla for building the distribution. I would love a volunteer to help with this; I expect it to be simple for someone well-versed in Dist::Zilla. Add support for localization. Sqitch already uses Locale::TextDomain throughout, so it’s localization-ready. We just need the tools put in place as described in the dzil ticket. Again, I would love help with this. Implement the Bundle command. Should be pretty simple, since, for now at least, all it does is copy files and directories. Add VCS integration. This is less important than it once was, but will still help a lot when working with Sqitch within a VCS. The bundle command would also need to be updated, once this work was done. But even with all that, I think that Sqitch is finally ready for some serious tire-kicking. To get started, skim the tutorial and take it for a spin (install it by running cpan DWHEELER/App-Sqitch-0.80-TRIAL.tar.gz). Let me know what you like, what you don’t like, and let’s have a discussion about it. Oh, and for discussions, where should I set up a mail list? Google Groups? Someplace else? Just uploaded Sqitch v0.70 and v0.71. The big change is the introduction of the log command, which allows one to view the deployment history in a database. All events are logged and searchable, including deploys, failed deploys, and reverts. Unlike most other database migration systems, Sqitch has the whole history, so even if you revert back to the very beginning, there is still a record of everything that happened. I’m pretty happy with this. Not sure how much it will be used, but it works great! Want to give it a try? Install it with cpan D/DW/DWHEELER/App-Sqitch-0.60-TRIAL.tar.gz and follow along the tutorial. Now I’m off to add the log command, which shows a history of all deploys and reverts. The plan file is now required. This can make merges more annoying, but thanks to a comment from Jakub Narębski, I discovered that Git can be configured to use a “union merge driver”, which seems to simplify things a great deal. See the tutorial for a detailed example. The plan now consists solely of a list of changes, roughly analogous to Git commits. Tags are simply pointers to specific changes. Dependencies are now specified in the plan file, rather than in the deployment scripts. Once the plan file became required, this seemed like the much more obvious place for them. The plan file now goes into the top-level directory of a project (which defaults to the current directory, assumed to be the top level directory of a VCS project), while the configuration file goes into the current directory. This allows one to have multiple top-level directories for different database engines, each with its own plan, and a single configuration file for them all. Seems like a short list, but in reality, this release is the first I would call almost usable. Most of the core functionality and infrastructure is in place, and the architectural designs have been finalized. There should be much less flux in how things work from here on in, though this is still very much a developer release. Things might still change, so I’m being conservative and not doing a “stable” release just yet. Currently, only PostgreSQL is supported by deploy and revert; I will at least add SQLite support soon. The rework command is my solution to the problem of code duplication. It does not (yet) rely on VCS history, so it still duplicates code. However, it does so in such a way that it is still easier to see what has changed, because the new files are actually used by the previous instance of the command, while the new one uses the existing files. So a diff command, while showing the new files in toto, actually shows what changed in the existing scripts, making it easier to follow. I think this is a decent compromise, to allow Sqitch to be used with or without a VCS, and without disabling the advantages of VCS integration in the future. The only requirement for reworking a change is that there must be a tag on that change or a change following it. Sqitch uses that tag in the name of the files for the previous instance of the change, as well as in internal IDs, so it’s required to disambiguate the scripts and deployment records of the two instances. The assumption here is that tags are generally used when a project is released, as otherwise, if you were doing development, you would just go back and modify the change’s scripts directly, and revert and re-deploy to get the changes in your dev database. But once you tag, this is a sort of promise that nothing will be changed prior to the tag. I modify change scripts a lot in my own database development projects. Naturally, I think it is important to be free to change deployment scripts however one likes while doing development, and also important to promise not to change them once they have been released. As long as tags are generally thought of as marking releases or other significant milestones, it seems a reasonable promise not to change anything that appears before a tag. See the tutorial for a detailed example. In a future release, VCS integration will be added, and the duplicated files will be unnecessary, too. But the current approach has the advantage that it will work anywhere, VCS or no. The VCS support will be backward-compatible with this design (indeed, it depends on it). I will likely be working on the status and log commands next, as well as an SQLite engine, to make sure I have the engine encapsulation right. I’m still pondering some design decisions. Your thoughts and comments greatly appreciated. Sqitch now requires a URI, which is set in the local configuration file by the init command. If you don’t specify one, it just creates a UUID-based URI. The URI is required to make sure that changes have unique IDs across projects (a change may have the same name as in another project). But maybe this should be more flexible? Maybe, like Git, Sqitch should require a user name and email address, instead? They would have to be added to the change lines of the plan, which is what has given me pause up to now. It would be annoying to parse. How should testing work? 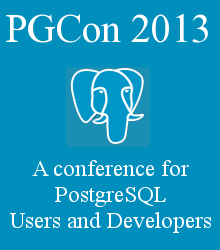 When I do PostgreSQL stuff, I am of course rather keen on pgTAP. But I don’t think it makes sense to require a particular format of output or anything of that sort. It just wouldn’t be engine-neutral enough. So maybe test scripts should just run and considered passing if the engine client exits successfully, and failing if it exited unsuccessfully? That would allow one to use whatever testing was supported by the engine, although I would have to find some way to get pgTAP to make psql exit non-zero on failure. Another possibility is to require expected output files, and to diff them. I’m not too keen on this approach, as it makes it much more difficult to write tests to run on multiple engine versions and platforms, since the output might vary. It’s also more of a PITA to maintain separate test and expect files and keep them in sync. Still, it’s a tried-and-true approach. Implement the Locale::TextDomain-based localization build. Should be done at distribution build time, not install time. Ideally, there would be a Dist::Zilla plugin to do it, based pattern implemented in this example Makefile (see also this README). The web site could use some updating, though I realize it will regularly need changing until most of the core development has completed and more documentation has been written. Handy with graphics? The project could use a logo. Possible themes: SQL, databases, change management, baby Sasquatch. Packaging. It would greatly help developers and system administrators who don’t do CPAN if they could just use their familiar OS installers to get Sqitch. So RPM, Debian package, Homebrew, BSD Ports, and Windows distribution support would be hugely appreciated. Please do install the v0.51 developer release from the CPAN (run cpan D/DW/DWHEELER/App-Sqitch-0.51-TRIAL.tar.gz) and kick the tires a bit. Follow along the tutorial to get a feel for it, or even just review the tutorial example’s Git history to get a feel for it. And if there is something you want out of Sqitch that you don’t see, please feel free to file an issue with your suggestion. Sqitch: Rename Step Objects and the SQL Directory? After all of the thinking and rethinking about how to manage a Sqitch plan, I am just about done with all the changes to make it all work. One of the changes I’ve made is that tags are no longer objects that stand on their own between change steps, but are simply names the refer to specific change steps. Not only is this much more like how a VCS thinks of tags (basically another name for a single commit), but it also greatly simplifies the code for iterating over a plan and updating metadata in the database. But now that a plan is, in its essence, just a list of “steps”, I’m wondering if I should change that term. I originally used the term “steps” because the original plan was to have a deploy work on a tag-to-tag basis, where a single tag could have a series of changes associated with it. By that model, each change was a “step” toward deploying the tag. If any of the steps for a single tag failed, they were all reverted. But while one can still specify a tag as a deploy target (and optionally have it revert to an earlier tag one failure), it no longer makes sense to think of each change script as a step toward deploying a target. It’s just a change. Yes, as an object it has separate deploy, revert, and test scripts associated with it, but I’m thinking it still makes sense to call them “changes” instead of “steps.” Because they’re individual things, rather than collections of things that lead to some goal. Make the default location of the plan file be in the top-level script directory. This is because you might have different Sqitch change directories for different database platforms, each with its own plan file. Change the default top-level script directory to .. This works because the configuration file has separate sections for each engine (PostgreSQL and SQLite), and so can be used for all the projects; only the --top-dir option would need to change to switch between them. Each engine has its own plan file. And yeah, having written out here, I’m pretty convinced. What do you think? Comments welcome. Notice that crypto would be deployed before the @beta tag, despite the fact that it appears in the plan after @beta. Yes, one would end up with the correct database, but the actual deployment varies from the plan in a way that might be disconcerting to a user. I don’t like it. I’m back to thinking about VCS integration again. I know I keep going back and forth on this stuff. I apologize. I appreciate the thoughtful comments and feedback I’ve received, and am taking the time to try to get this stuff right so that I can stop thinking about it in the future. I really want to reduce the complexity of database change management, but retain flexibility for those who need it. So yeah, I keep taking two steps forward and one step back, but there is overall forward momentum (I have had to trash less code than I expected). Error: Step "add_user" already exists. Add a tag to modify it. Backed up previous version of "add_user"
Note how the new step implicitly requires the previous version of the step (as of @alpha), and thus all of its dependencies. This is a clean way to “upgrade” the step. Now you can edit sql/deploy/add_user.sql to make your changes, starting with the existing code. You can also edit sql/test/add_user.sql in order to update the tests for the new version. You don’t need to edit sql/revert/add_user.sql unless your changes are not idempotent. Of course, this pattern leads to all the code duplication I complained about before, but there is nothing to be done in the absence of a VCS. The advantage is that we retain a complete history, so we can go back and forth as much as we want, regardless of whether we’re updating an existing database or creating a new database. The only change I need to make to the plan syntax is to ban the use of @ in step and tag names. Probably a good idea, anyway. Other than the “Backed up” line, the output is the same as for adding any other step. Maybe there would be something to say that the previous version was copied to the new version. But the point is to make it clear to the user what files are available to be edited. Error: Cannot find reference to @alpha in the Git history. Please run `git tag alpha` to continue. Note the lack of a “Backed up” line. It’s not necessary, since the code is already preserved in the Git history. Now we can edit the files in place and commit them to Git as usual. Sqitch will ask Git for the add_user step files as of the alpha tag when deploying the first instance of the step, and the current version for the latter. One can add add_user as many times as one likes, as long as there are always tags between instances. Much better. Much more consistent throughout. And must less stuff stored in the database to boot (no full deploy scripts copied to the DB). So, I’m off to to continue modifying the plan code to support the syntax I proposed yesterday post, as well as the ability to have duplicate steps under different tags. Then I will start working on this proposal for how to name scripts and duplicate them. That is, assuming that nothing else comes up to make me revise my plans again. Man, I sure hope not. This proposal nicely eliminates inconsistencies in the plan and deployment history regardless of whether deploying from a VCS, a bundled distribution, or a non-VCS project, the results should be the same. And it was those inconsistencies that I had been struggling with. But hey, if I have overlooked something (again! ), please do let me know.